Where do the tours start? Key West tours begin at 303 Front Street. You can also begin your tour at our Flagler Station at 901 Caroline Street. If you board at this location, when you arrive in Mallory Square you will transfer to another vehicle to complete your train tour. For more information, go to how tour works. What time do the tours of Key West start? Tours depart daily beginning at 9:00am from our Front Street location. What is the last tour of the day? The last tour departs Front Street at 4:30pm. Are you open every day? We are closed the last Saturday in October for Fantasy Fest. How often do your tours depart? Train tours will depart at least every 30 minutes. If the vehicles fill sooner, they will leave sooner. How long is your tour? The conch tour train tour is a 75-minute fully narrated tour of the historic area of the island. Do you make any stops? Yes. Go to "How Tour Works". What does the tour focus on? The tour focuses on Old Town Key West and its history. Parking on a 2 mile by 4 mile island can be difficult. Go to Where to Park for parking near some of our stops. 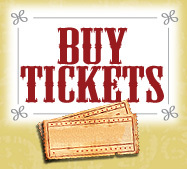 Please refer to our Key West Tickets section, and don’t forget to ask CASTmembers about cost saving Key West Packages. Are your trains available for private tours or transportation? Yes! Make your event memorable by chartering a World Famous Conch Tour Train. Please see our page on Groups and Charters for additional information. Can I bring my stroller on board the train? Yes, we can accommodate strollers but they must be collapsible and will be stored up front with the conductor. Strollers in the aisle ways would constitute a safety hazard. Are food and drinks allowed while on the tour? Food and drinks are welcome. However alcoholic beverages are not allowed under any circumstance for the safety and comfort of all of our guests. Are your trains handicap accessible for individuals with wheelchairs and motorized scooters? Yes, we do have some trains with ramps that can accommodate scooters and/or wheelchairs. We are happy to provide this service, but ask for a few small accommodations to allow us to do so with the utmost safety and minimal impact on other guests utilizing our service. We request that you give us as much notice as possible as to your arrival date and the time you’d like to take the tour (24 hours preferred). This will assure that a properly equipped vehicle will be made available for your use. Please arrive at Mallory Square location at 302 Front Street no less than 15 minutes prior to your departure time so that we can accomplish the loading process smoothly and safely. Go to accessibility services for more information. Are dogs allowed on your trains? Assistance animals, such as seeing-eye dogs, are the only animals that are allowed on board the trains.